We visited USS Arizona memorial on Wed 5th July (yes 4th July did eventually finish). Just as well we got there early as the queue was huge, though it moved pretty quick. We arrive bout 8am, got in about 8.30 and our ticket for theatre and boat ride to memorial was at 10.30am – apparently the wait can be up to 4hrs. Not too sure you say its nice or anything like that but its tasteful, pretty and serene if not also a little eiry knowing that there are over 1000 personnel below the surface. 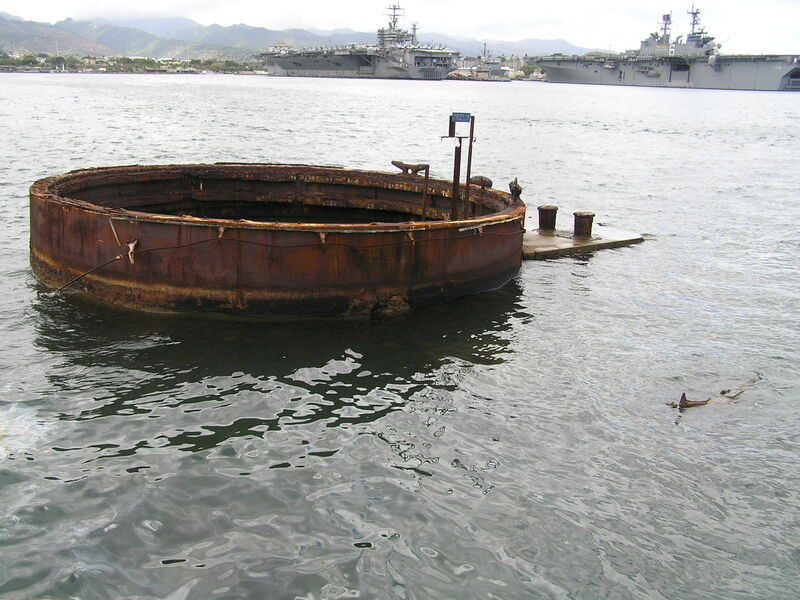 Second picture is of the 3rd gun turret that still sits above the waterline. 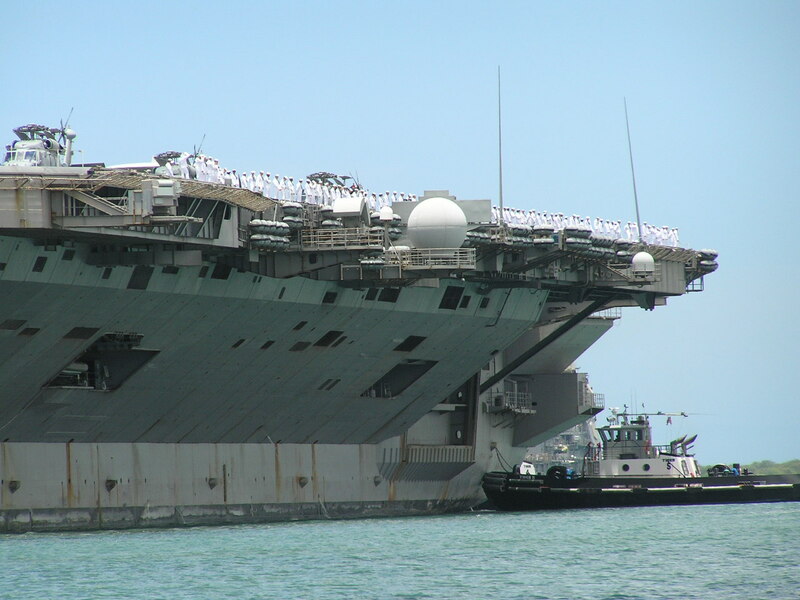 Whilst we were at Pearl Harbour, a huge Aircraft carrier was also leaving port – apparently there are exercises off the coast over the next week or so. The docks were full of navy boats. It looked pretty cool with all the little white sailors along its side as it leaves the port. Previous post: Tash has a new friend – who is he you ask ?